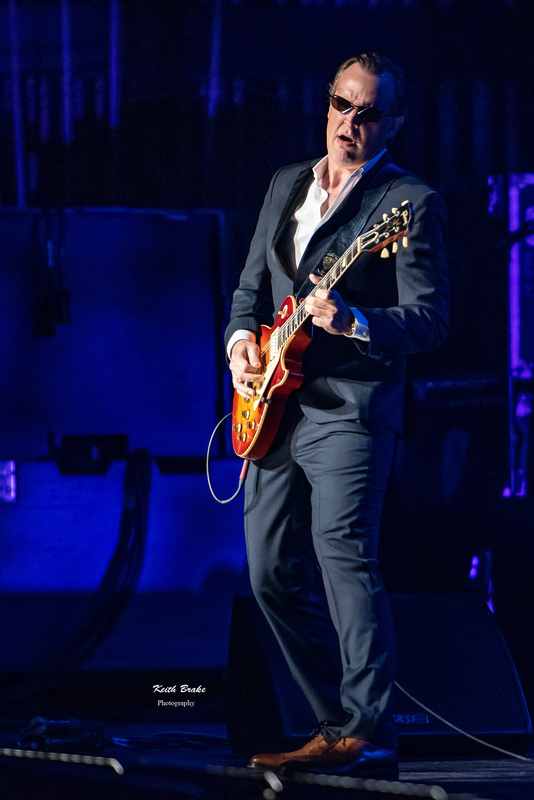 Joe Bonamassa performing at Stifel Theatre in Saint Louis Saturday. Photo by Keith Brake Photography. 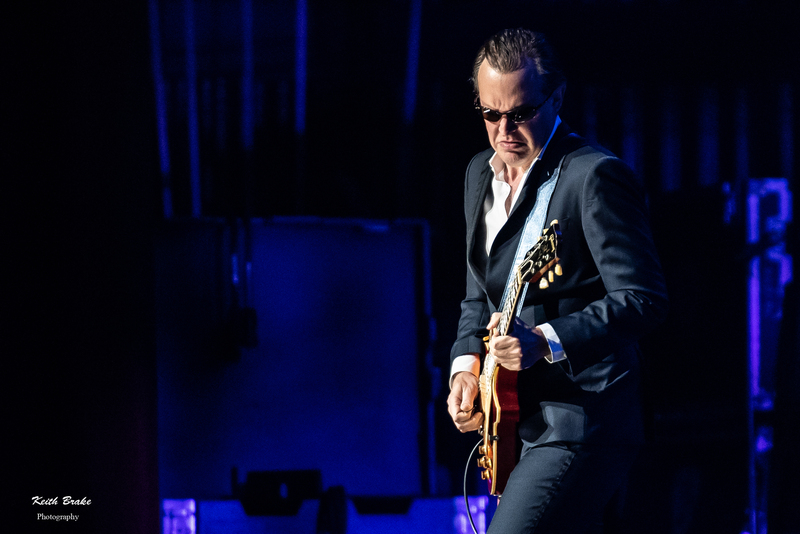 Merriam-Webster defines Virtuoso as “One who excels in the technique of an art, especially a highly skilled musical performer.” and I am pretty sure this is the label we have collectively given to Joe Bonamassa because we can’t come up with anything stronger. Joe brought his guitars and his band to Saint Louis this past Saturday night (10-11-2018) and turned the Stifel theater upside down. Joe is touring celebrating twenty five years in the business and had labeled this show as “The Guitar Event Of The Year” and, I must say, he did not disappoint. 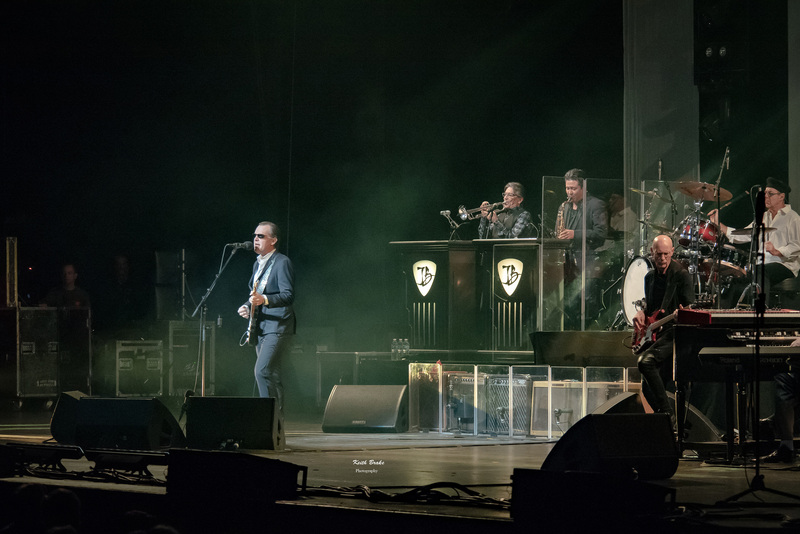 The evening was all about Joe as there was no supporting act, and that was more than acceptable as Mr. Bonamassa is more than capable of entertaining you for hours on end. As I alluded to previously, Joe is a guitarist of and for the ages, possibly the best blues guitarist to ever grace the planet. Before all of you start writing me hate mail screaming at me about BB King, Eric Clapton, Stevie Ray Vaughan and the list goes on and on; remember I said possibly, and unless you have witnessed Joe Bonamassa live I feel you may not be fully prepared to argue this any way. The show started at 8:00 sharp, not a minute later as this has been the case for Joe’s shows for years. Joe is not only celebrating 25 years of blues excellence he also has a new studio album, Redemption, that is available for purchase now. When the music started Joe and his hyper-talented band turned the dial to eleven and let the excellence flow. Joe rarely stopped the show but when he did he was charismatic and engaging, reflecting on memories of pulling into Saint Louis in his van, playing Blueberry Hill and all the other STL venues he has played throughout his career. 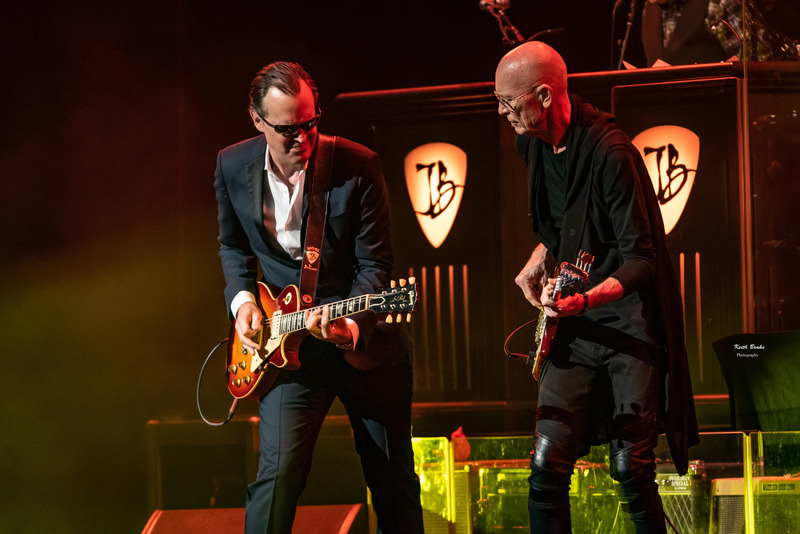 Mr Bonamassa paid homage to the Saint Louis’ musical roots by having Saint louis native Bonnie Bramlett join him for a duet that resulted in a rousing standing ovation. Joe also has a humorous side to him that does not necessarily seem to align with the Hugo Boss suit and Ray-Bans which, in my opinion, makes it all the more enjoyable and adds the final elements to a fantastic performance. This tour is absolutely riddled with amazing moments featuring Joe’s virtuosic guitar skills, and stand out performances from each and every band member including the likes of Anton Fig (drums/famous from David Letterman’s House band) and Rock and Roll hall of fame keyboardist Reese Wynans (keyboardist for Stevie Ray Vaughan and Double Trouble). Plenty of dates still remain in the Midwest for this tour with the next stop in Cincinnati before heading on to Louisville and Memphis. It would be impossible for me to find something about this show that I did not like, everything was absolutely on point; the sound, the lights, the musicianship all absolutely amazing. So, if you like guitars or the blues or a fantastic display of awesome, make a road trip to one of Joe’s remaining tour dates; I give you my word the experience will outweigh the investment. 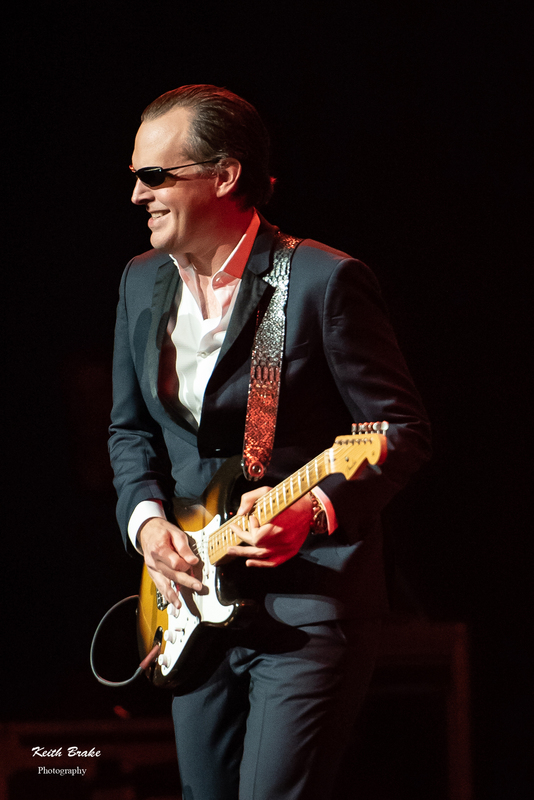 For all things Joe Bonamassa please visit https://jbonamassa.com/ . Leave me some comments below the photo gallery and let’s chat about the show, or argue about guitar players, either way I would love to hear from you! As always, thanks for the support. Awesome review. Makes me want to go see Joe B. the next time he is in town. Love-love-loved the show, enjoyed your review. While who’s the best blue player is and always will be debatable, the fact of Joe belonging in the discussion in my opinion isn’t. Robert, I could not agree more! The show was certainly a tremendous display of talent and I will most certainly watch for the next time Mr. Bonamassa will be in town.